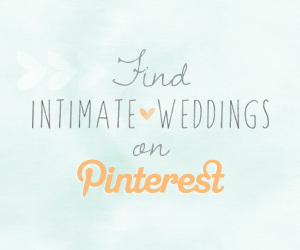 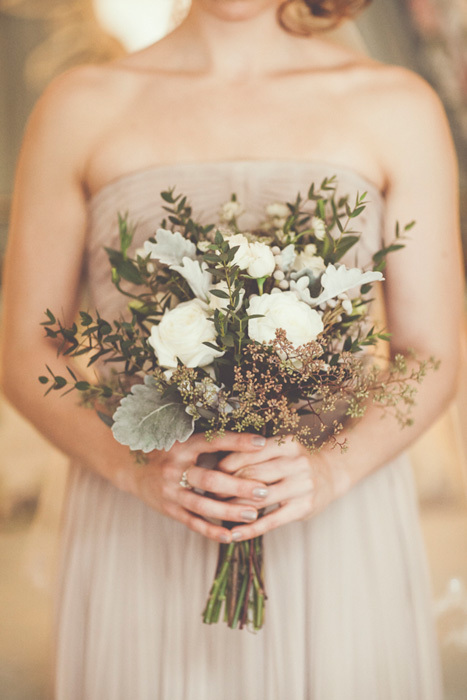 Some people think that summer brides have all the fun when it comes to their wedding flowers—they do have the most variety to choose from, after all—but, if you ask me, that just isn’t the case. 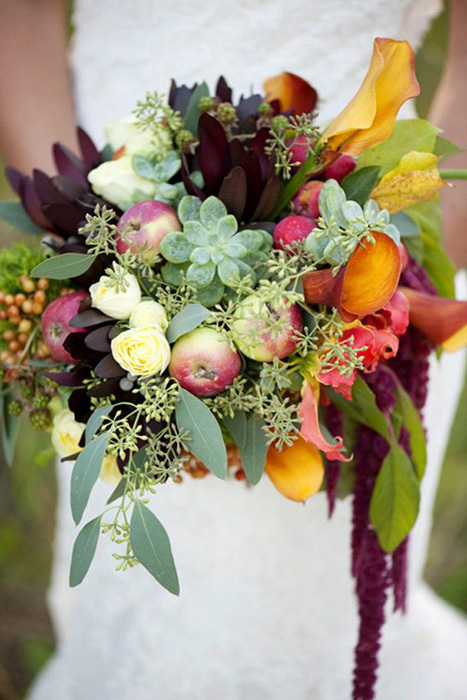 Summer flowers are beautiful of course, but fall flowers have a personality and aesthetic all their own; and while there may be fewer floral options available, there’s a lot of room for creativity in the autumnal bouquet. 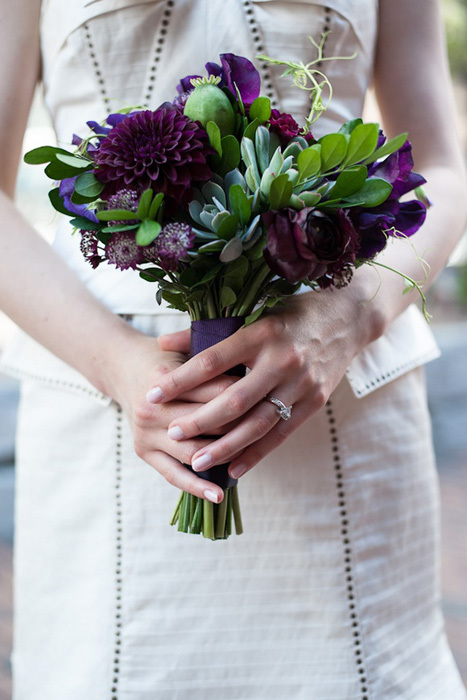 Firstly, forget about all those summery pastels; fall is the time to dive into all those wonderfully deep, rich jewel tones that are so popular right now—think ruby reds, dark plum purples and vibrant emerald greens. 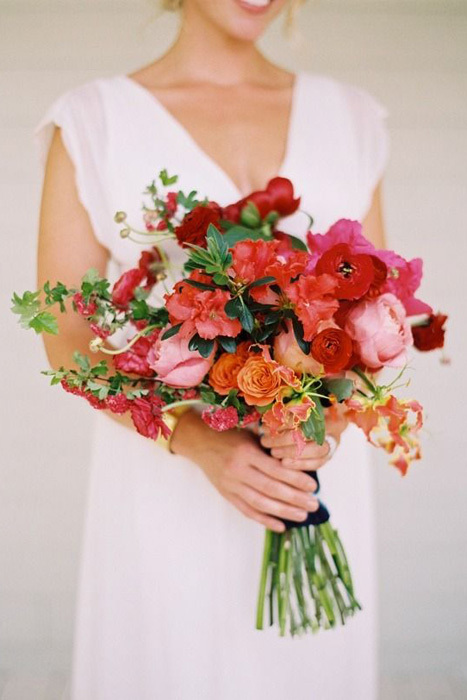 Who knew pink, red, and orange could look so good together? 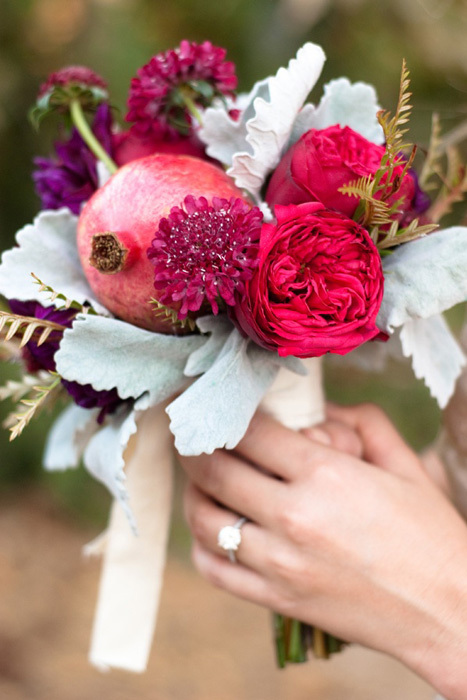 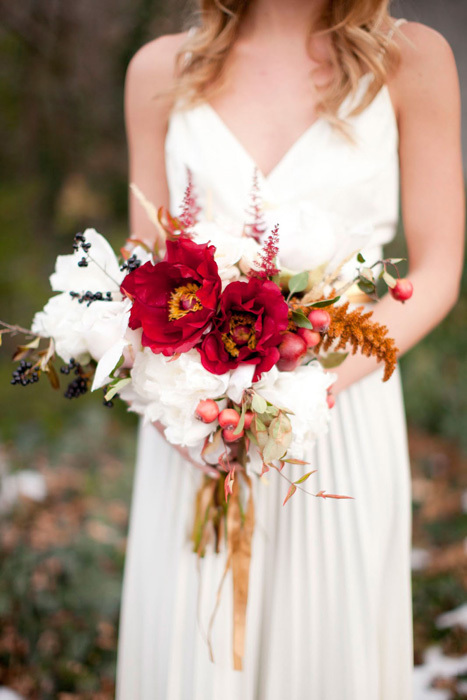 Adding seasonal fruits to your bouquet, like apples and pomegranates, creates visual interest and can make up for the lack of flowers available during the fall months. 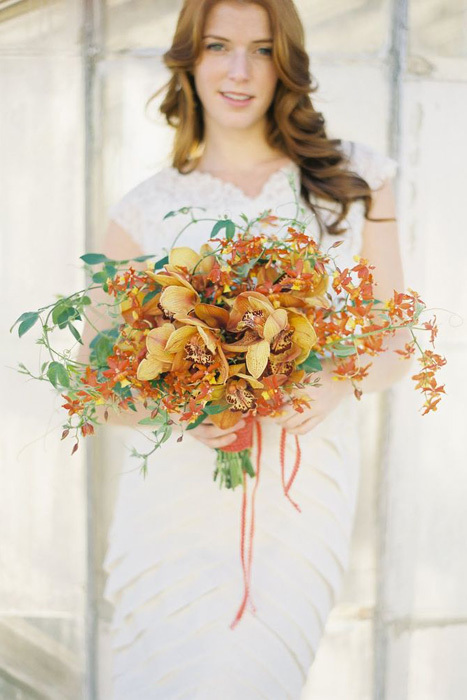 If you’re a fan of all things pumpkin hued, there’s no better season to rock an all orange bouquet than fall. 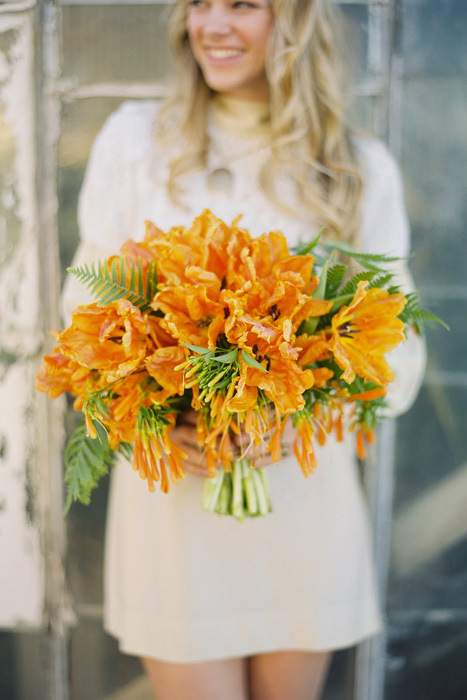 Check out these two orange beauties from Flower Wild Events. 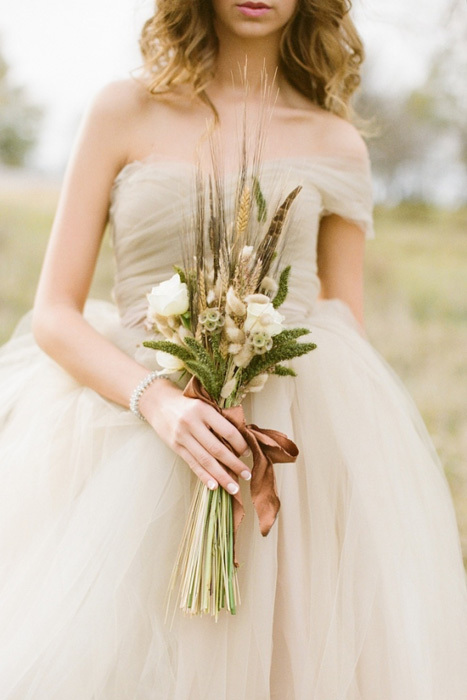 And lastly, if vibrant colours aren’t your thing, perhaps earth tones and dusty hues might be more your speed. 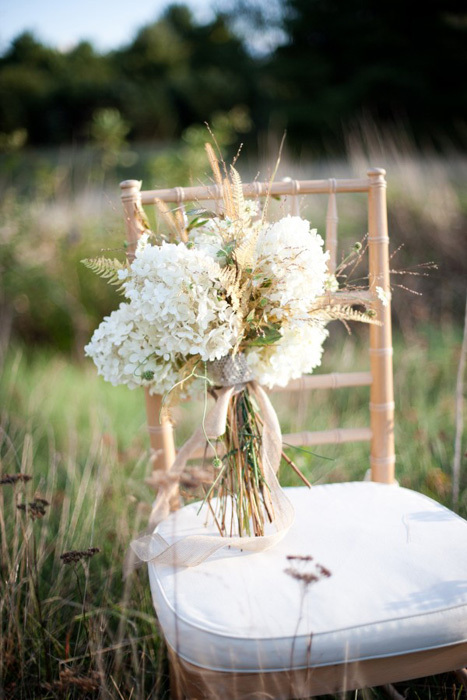 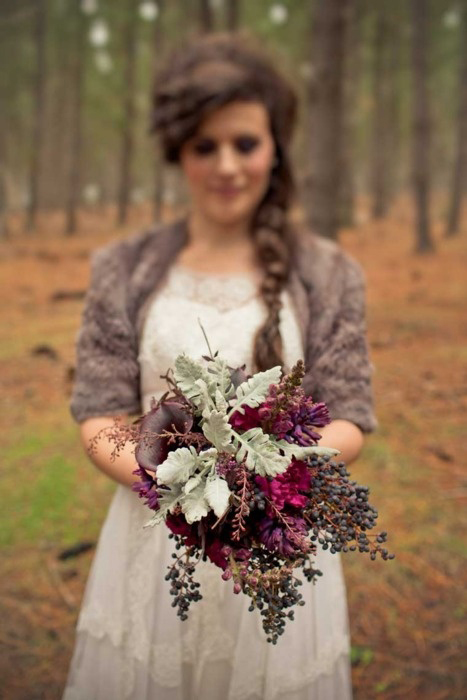 Dried grasses, wheat stalks, and dusty miller foliage can add a rustic touch to your bouquet and are seasonally appropriate, to boot.